Want to Buy a Skyscraper? Update: The Willis name will remain attached to the tower through the duration of the Willis Insurance lease. The name will not change, even if the owners are able to sell it. 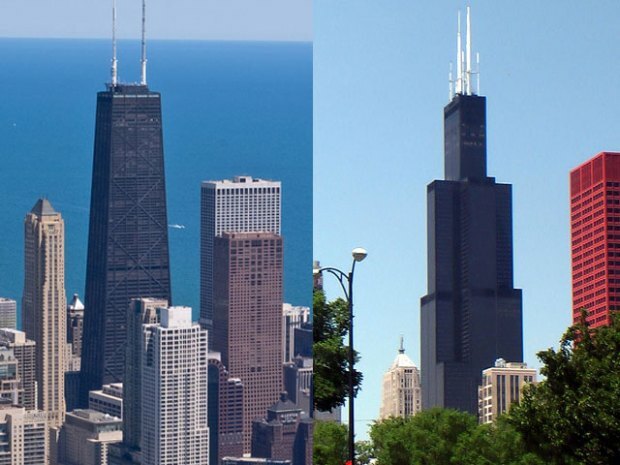 Chicagoans might have to get used to another new name for the Sears, er, Willis Tower. Willis Tower is looking for a new investor to help recapitalize the building, according to The Wall Street Journal. Owners are considering the complete sale of the 4 million square-foot, 110-story building that has been an essential part of the Chicago skyline since its completion in 1973. The building's current owners Chicago's American Landmark Properties Ltd, New York Developers Joseph Moinian of the Moinian Group and Joseph Chetrit of the Chetrit Group bought the building for $900 million in 2004. The tallest building in North America was renamed Willis Tower in 2009 when UK insurer Willis Group Holdings leased 140,000 square feet at $14.50 per square foot. More than 1 million square feet was leased in the building last year to tenants including the Chubb Group and United Airlines, but the tower is still 22.6 percent vacant. The Willis tower carries $780 million dollars worth of debt, sources told Reuters. A recapitalization would give a new investor a percentage of ownership in exchange for investment. When you're up close to the clouds, every view is eye-popping amazing. But there are a couple of things that differentiate the Willis and Hancock tower's observatories.